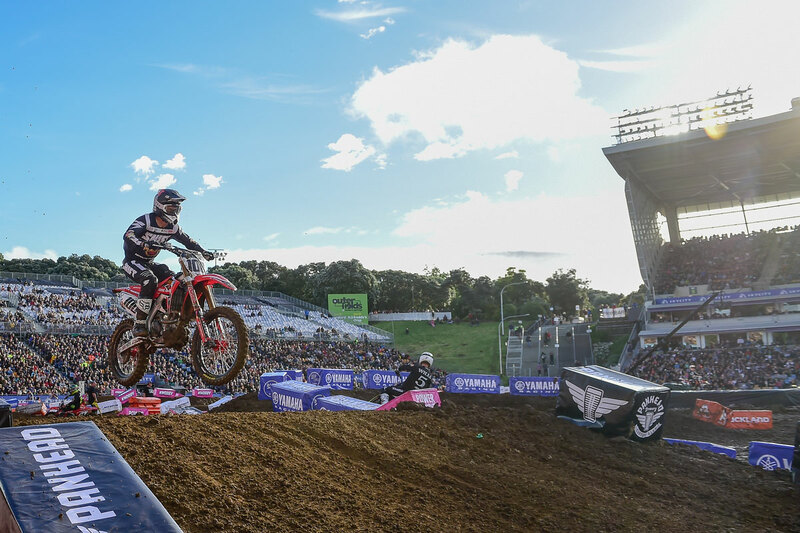 After competing in the Oceanic Supercross in New Zealand last weekend, Josh Hanson could not pass up the opportunity to stop off ‘down under’ for exclusive appearances with Honda Australia. “It’s been about 10 years since I’ve been here and it’s like I never left, everyone over this part of the world is truly amazing and I am extremely grateful.” Hansen said. Hansen was a welcomed inclusion in the Oceanic Supercross Championship, even though race day did not go his way. “Racing in New Zealand didn’t go as planned, I personally crashed too many times and it was frustrating. Then in race 1, I crashed on my own and when I looked up, my teammates were down as well. It’s not what you want! I created a roadblock and it bummed me out, I felt so bad about it and apologised, as it was not my intention. In saying that, I did love being out there, the fans were incredible and AME did a remarkable job making the track rideable,” said Hansen. After racing wrapped, Hansen flew straight from New Zealand to Australia; “I couldn’t come all this way and not see Australia again. I wanted to ride with Yarrive and all of the friends I made when I was last in Australia, shoot some content and get involved in some of the events Honda Australia had coming up.” Hansen said. Hansen made an appearance last night at Peter Stevens in Dandenong with fellow Honda rider Cameron Sinclair. Then this Sunday he will be with the Penrite Honda team and Honda Australia at Ride Park in Victoria for a CRF customer experience day. Honda will have a fleet of CRF450Ls available for test rides as well as 2019 CRF450Rs and CRF250Rs. Test rides will run from 9.30am until 3.30pm and Hansen will be giving away product as well as signing autographs and doing some riding. Brand and Motorsports Manager, Glyn Griffiths appreciates Hansen’s inclusion. “We are excited to have Josh here. He is a part of the Honda family and helps us reach a diverse market. His riding skills are on another level, he won gold at the X-games, has won Supercross Championships and his father was one of the greatest riders Honda contracted in America,” said Griffiths. Hansen raced for the Factory Honda Team in Australia in 2009 and the experience left an unforgettable mark as he chose to return in 2010 to race the Australian Supercross Championship. Although 2018 marks Hansen’s return to Honda in Australia, it also marks his first year with Honda in America. 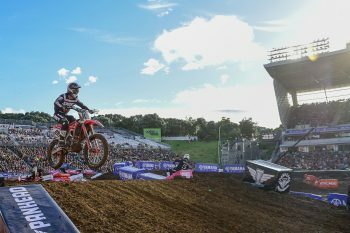 “Honda America have been unbelievable and I am really pumped to be part of the Honda family, not just in the US but on a global level, Honda is a big family and I am enjoying the ride for sure! I hope this will not be my last visit to Australia too, we will see what the future holds.” Hansen finished.